Last year I was making some banana bread but once I had everything made up I realized I had no bread pan. (FYI,this is a very me thing to do.) So I looked through my pans and found a muffin tin and that was the beginning of my muffin madness. I now try and keep muffins in the house at all times. I have tried dozens of recipes and even have come up with some of my own. 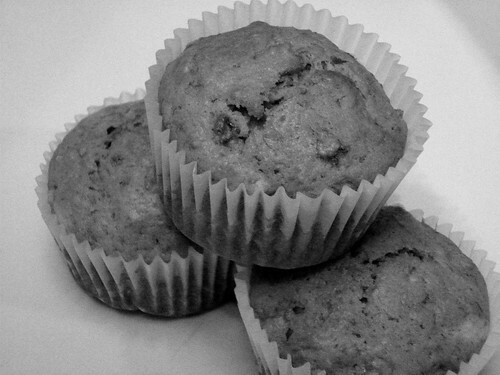 If you are a regular reader you may have seen some of my muffin baking. Today I’m going to share with you my 5 top favorite recipes at Food.com. Put the Lime in the Coconut – Best muffins ever!! I use Real Lime packets and it makes them amazing! Berry Smash Muffins (Strawberry Muffins) – Hubby’s Favorites! Easy Banana Muffins – Must have to use up your old bananas! Erna’s Apple Pie Muffins – These are yummy, though I cut the sugar back and didn’t put the topping on because I’m trying to cut back on sugar for the boys. Still yummy! Oatmeal Walnut Muffins – These were so moist and yummy and they are fun to make with the instant flavored oatmeal too! Have you tried making muffins? Have a recipe you want to share? well i was supposed to make a banana muffin. all ingredients were ready and when i got home… mom lost her recipe. =( so, i just went to the computer room only to realize that the computer just broke. huhu.. what a sad day. Oh yummy! I love making blueberry muffins when I have guests for breakfast. They’re always a big hit! I have an awesome blueberry one also let me know if you want it. WE LOVE MUFFINS in our house! The kids ask for them weekly and know that we have them on Fridays (at least!)! Your recipes look good! I’m gonna have to try some!